So, last three weeks the UPU results were out as well as UM's and USM's. Guess who got butterflies in her tummy while waiting for the result to be out? Yes, me. That time, I hope nothing but to be accepted in any university to pursue my degree. I don't mind what course it is I just want to further my studies. Praise be to Allah. 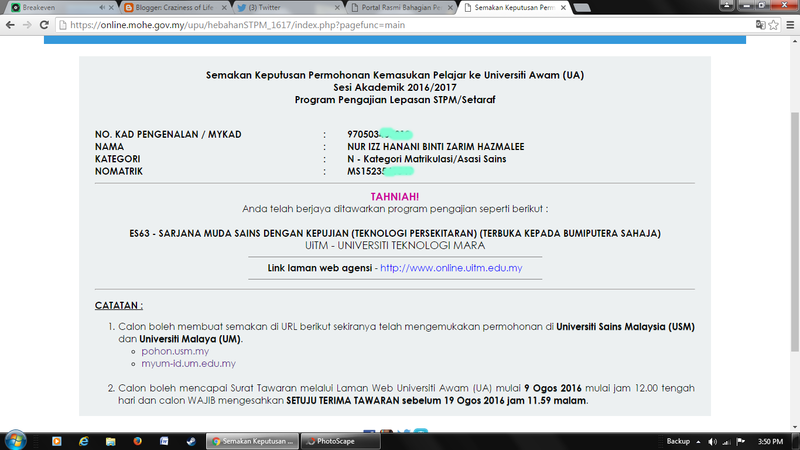 It was one out of 12 choices in my UPU application. The day has finally come, it's tomorrow. 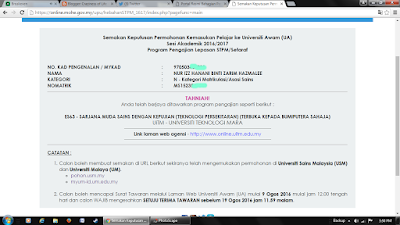 I'll be registering for Bachelor in Science (Hons.) Environmental Technology at UiTM Shah Alam. My feelings right now? Nah, you can guess. I kindly ask for you the one who's reading this to pray for me. 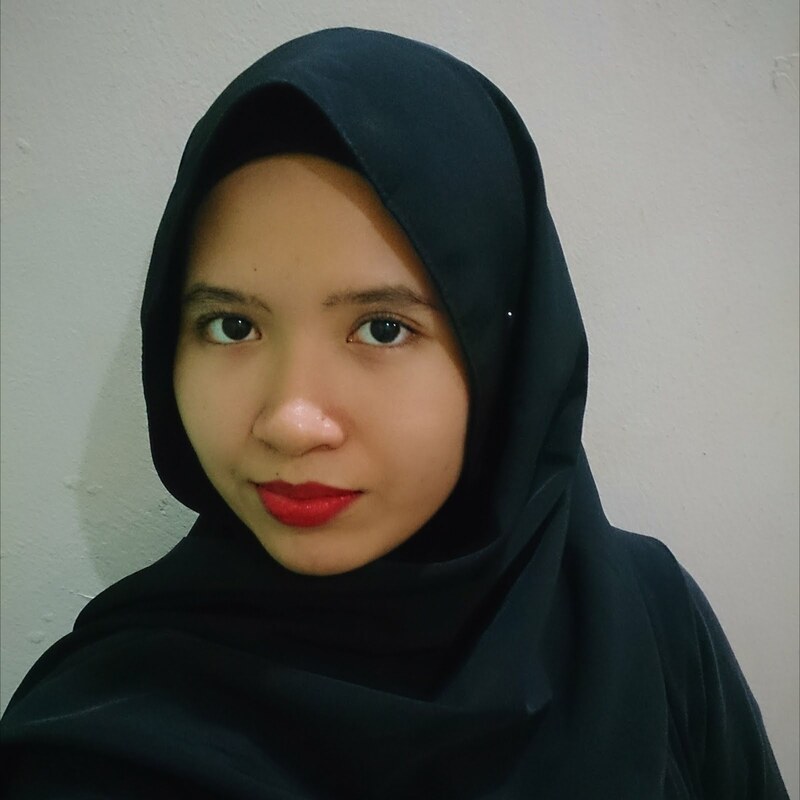 Pray for me so that I'll be strong enough to face this 3 years degree journey. I oath myself to change for a new me this time. I hope everything's gonna be just fine. To all my friends who's also be entering degree, I wish you the very best of luck! Oh and, I have like another 3 more posts regarding the 30 days writing challenge. Well actually I've been drafting the post. It just need to be published on the day itself, but since I'll be registering tomorrow I guess I might publish it a little late due to the orientation and stuff. But we'll see how. I'm so nervous right now. May Allah ease everything. Till next time!